Schererville, IN - The clergy of the Chicago Deanery held a gathering on Tuesday, November 17, 2009 in the facilities of St. George Church in Schererville, Indiana. Before the meeting a Memorial Service was held in the church for the repose of the soul of Patriarch Pavle of Blessed Memory. Twelve active priests and one retired were present. Varieties of the items were on the Agenda. All parish priests submitted reports of the statistical data in their respective parishes, from the various areas of the church life. Situation in the parishes is satisfactory. However, there is a lot of room for improvement. The clergy expressed a joy for the administrative unification of our Church in North and South America. 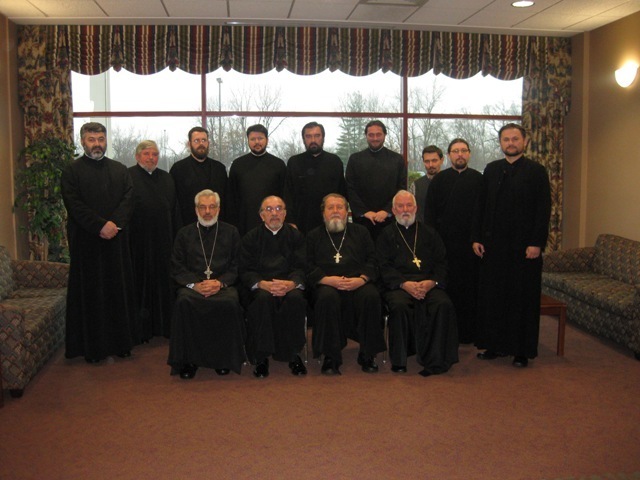 The brotherly transfer in our New Gracanica - Midwestern Diocese should be an example to other Dioceses. Fr. Milos Vesin spoke on repentance and confession. The clergy congratulated Fr. 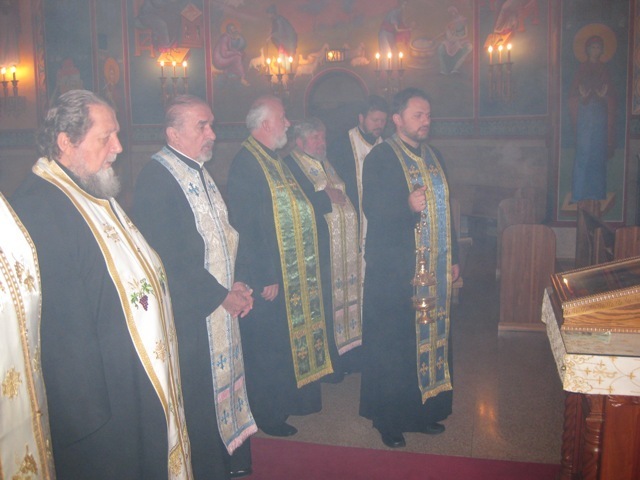 Dobrivoje Milunovic on his elevation to the rank of Protopresbyter, Fr. Lazar Kostur and Fr. Milos Vesin for their award of the pectoral cross. The meeting ended in a brotherly love and with a prayer. The clergy thanked the host Fr. Dobrivoje for the hospitality extended to the clergy.